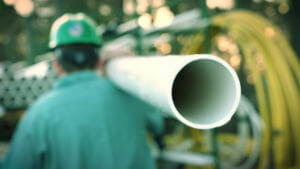 FitzGerald & Sons Plumbing offers “big company” opportunities with a “small company” feel. 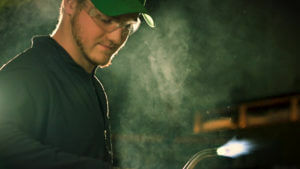 Safe work practices are a way of life at FitzGerald & Sons plumbing. It is our highest priority that everyone goes home in the same condition they came to work in. We care about your health, so we offer medical insurance, dental insurance, and vision insurance. We offer AFLAC to fill any gaps that you might need to protect yourself and your family. We care about your piece of mind, so we offer paid time off, and paid holidays so you can enjoy life outside of your career. Our Project Managers, Service Manager, Labor Manager, and Department Managers have all grown through the company from the ground up, so there is endless opportunity to advance. Must have a current Georgia plumbing license, and a Georgia Driver’s License with a clean driving history. Verifiable experience in residential service work. Should have a minimum of a Georgia journeyman plumbing license with 3 years verifiable experience. Large project and hospital experience is preferred. These are the future of our company and our craft. If you are looking for the way into a fulfilling career in the plumbing industry, you have come to the right place!